8 out of 10 Dermatologists recommend anti-aging skin care for patients over 30. You're not too young to take care of your skin nor worry about the effects of the sun, cold, acne, prolonged use of makeup. Give it a try! How Does Ageless Anti-Aging Serum Work? Ageless is a lightweight gel that you apply on trouble areas. Most people use it on their face and neck to reduce pores, age spots, discoloration and help prevent more wrinkles, Others also use it for blemishes (pimples, rashes, etc.) stretchmarks, scars and even hands. I even had someone mention using it toward the end of a cold sore to fade any marks. Unlike our Instant Youth product, Ageless Anti Aging Serum is for long term repair and restoration within reasonable expectations. Use them together as part of your skin care regimen and for even better results. How To Use It: Apply on clean dry skin for best results! You only need to use a very little bit (just a light coating) and then let the serum dry naturally on your skin. In other words, spread it by tapping with your finger, but do not rub it all the way in to dry. You can feel the product tightening your skin a little bit as it dries and see results over continued use. When you first open your product, it is best to shake the bottle downwards towards the top lid before you first use it, so that you slide the serum down in the bottle towards the pump end. Next, take the lid off, turn the bottle sideways and give a pump or two to get the product started. Stand the bottle upside down on your sink or in your cabinet when not using. Sit the bottle sideways when it starts getting low and it will continue to pump out for you. When the serum is almost gone, it is helpful to use a Q-TIP to get the last amount in the bottle. Rani used Skinny Fiber and Ageless Anti-Aging Serum to get the results that transformed her into the more confident woman you see in the bottom right picture. 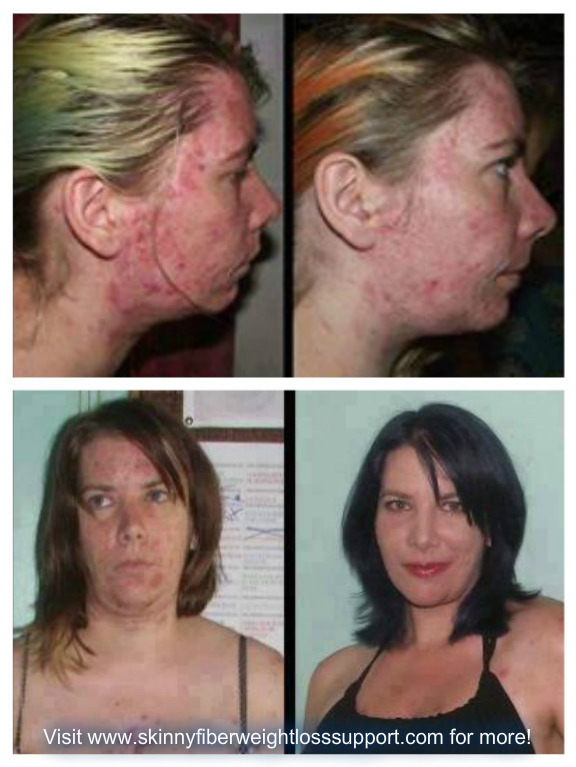 She suffered from her adult acne and blemishes for so long. She says: "5 Months on Skinny Fiber and 2 months using Ageless The Skinny fiber is doing a fantastic job at reducing my Cystic acne and the Ageless is helping with my Skin texture. I LOVE how these to products are helping me show the real me I know is inside." Her review is priceless!!! More reviews and picture results from Ageless Anti-Aging Serum! How Much Does Ageless Anti-Aging Serum Cost? Ageless is priced the same as Instant Youth and our other products. * 10 and 20 bottle packages are only available for distributors to purchase. * Taxes & Fees may apply in certain International countries. Taking care of your skin is a vital part of health as you age. Read this blog post on how to protect your skin's elasticity and help prevent sagging while losing a lot of weight! Parents should teach your children why it is important to take care of their skin and body now to reduce the effects of aging and weight gain later.